The Los Angeles Philharmonic is reinventing the concept of a 21st-century orchestra under the vibrant leadership of Gustavo Dudamel. Now in its 93rd season, the Philharmonic is recognized as one of the world’s outstanding orchestras and is received enthusiastically by audiences and critics alike. Both at home and abroad, the Philharmonic is leading the way in innovative programming and re-defining the musical experience. This view is shared by more than one million listeners who experience live performances by the Los Angeles Philharmonic each year. The Philharmonic demonstrates a breadth and depth of programming unrivaled by other orchestras and cultural institutions, performing or presenting nearly 300 concerts throughout the year at its two iconic venues: Walt Disney Concert Hall and the Hollywood Bowl, a popular summer tradition since 1922. The orchestra’s involvement with Los Angeles also extends far beyond regular symphony concerts in a concert hall, embracing the schools, churches, and neighborhood centers of a vastly diverse community. Among its wide-ranging education initiatives is Youth Orchestra LA (YOLA). Central to YOLA is the Philharmonic’s plan to build, with community partners, youth orchestras in communities throughout Los Angeles. The Los Angeles Philharmonic’s commitment to the presentation of music of our time is evident in its subscription concerts, the exhilarating Green Umbrella series, and through its extensive commissioning initiatives. 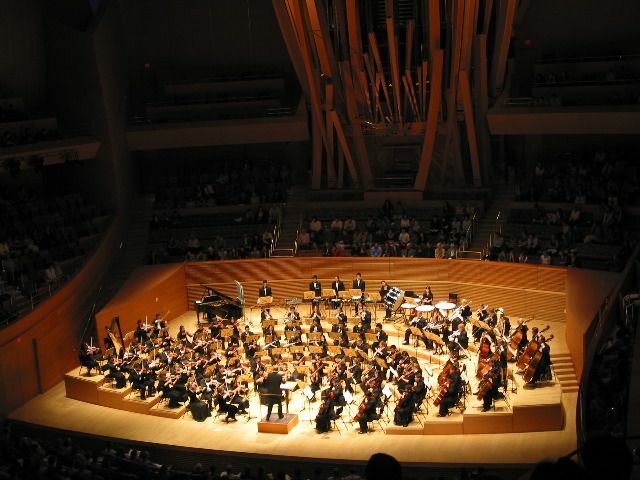 The Los Angeles Philharmonic New Music Group, devoted exclusively to performing compositions on the cutting edge of the repertoire, attracts leading composers and performers of contemporary music.